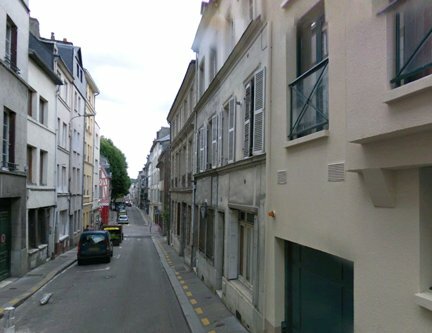 French microbiologist Maurice Nicolle and physician and Nobel Prize winner Charles Nicolle were born in this house of Rouen (5 rue de Cordier). 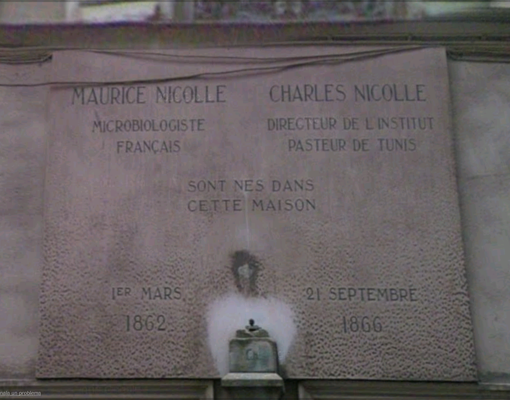 In 1946, on the 10th anniversary of his death, a bronze bust of Charles sculpted by his friend Saboraud was placed on the facade of the house jointly with the following French inscription: "MAURICE NICOLLE / MICROBIOLOGISTE / FRANCAIS / CHARLES NICOLLE / DIRECTEUR DE L'INSTITUT / PASTEUR DE TUNIS / SONT NES DANS / CETTE MAISON / IER MARS / 1862 / 21 SEPTEMBRE / 1866". 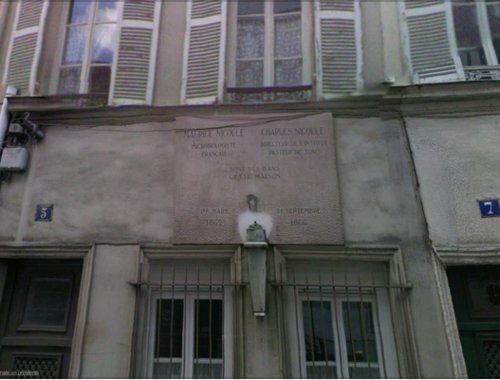 Unfortunately, the bust has been carried off by burglars1.